If you’ve hung around project management circles for any amount of time, you’ll hear a weird word: Gantt chart. A Gantt chart is a popular way to visualize how your individual tasks are progressing. For more info, check out this post: What Is A Gantt Chart? Millions of project managers, leaders and planners across the world have unlocked the value of visualizing tasks with these easy-to-understand bar charts. Originally, these were done by hand, but cloud-based project management software has simplified that need. As technology has changed over the years, so have Gantt charts. More data and information can be added to Gantt charts than in years past, giving you a full array of features. What Are The Benefits of Gantt Charts? And who is assigned to each part of the project. A Gantt chart will show you where your individual tasks intersect and change. It’s a great addition to your current task management tool. We’d recommend setting up a Gantt chart after you already have your project plan completed—such as setting up your tasks, filling in the details, finding the task dependencies and then assigning it to the right team member with estimated due dates and deadlines. It may also help you to put in time estimates to see how the responsibilities will overlap. 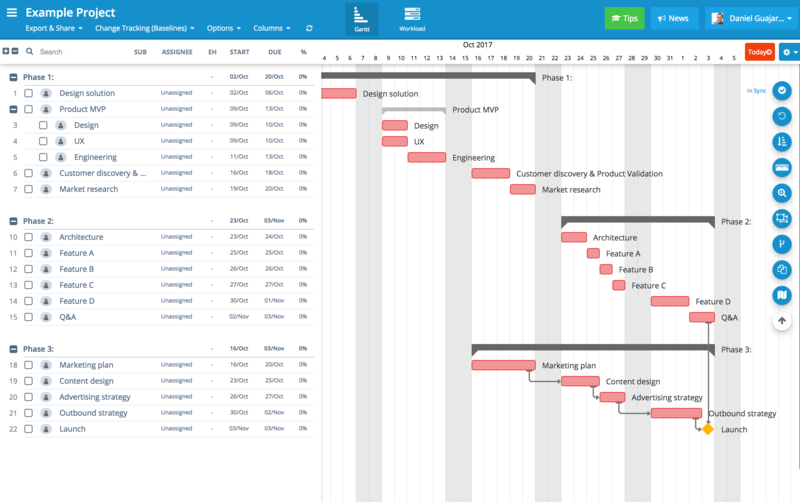 Once you’re done with project planning, switch to the timeline/Gantt chart view to see how everything will line up. Another benefit of Gantt charts is the way you can visualize dependencies. A Gantt chart shows you how each part of the project is related. This shouldn’t be overstated. It’s easy to make tasks dependent on others, but if you have several tasks that are dependent on one task it could easily get lost during the weeks of a busy project. Your executive team and clients also like Gantt charts because of how easy it is to understand in a presentation. It shows the individual tasks without diving into the specifics. How have Gantt Charts changed? Cloud-driven project management software options have rapidly changed what Gantt charts can do. When there were only a few local, desktop-only options Gantt charts would have to be printed out or emailed to the rest of your team members. Updates were slow and clunky. Tasks couldn’t be changed directly from the Gantt chart. It was a manual process and even some ambitious souls have dared to make their own Gantt charts in Excel (really?). Gantt charts are easier to use than ever before. Now, of course with cloud-based project management software, online Gantt charts are exceptionally simple to start with. Many tools (like ClickUp!) 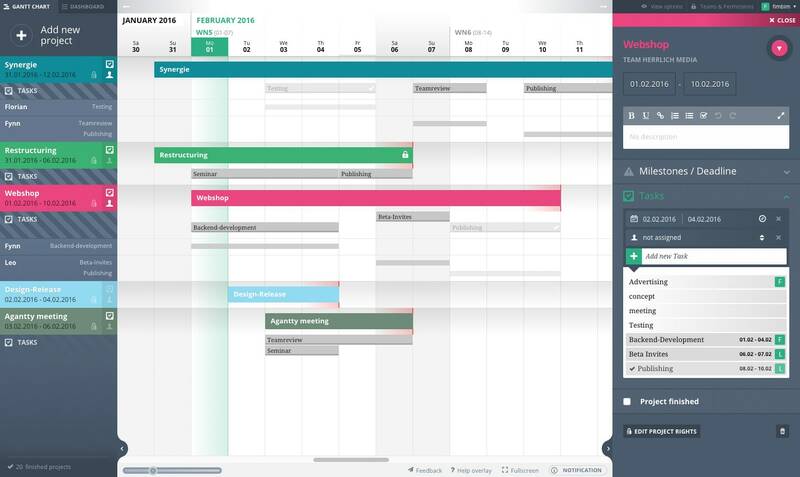 let you bounce from different views–including Gantt / timeline views, lists or kanban boards. Gantt Charts have evolved. Cloud-driven project management software options have rapidly changed what Gantt charts can do. When there were only a few local, desktop-only options Gantt charts would have to be printed out or emailed to the rest of your team members. Updates were slow and clunky. Individual tasks couldn’t be changed directly from the Gantt chart. It was a manual process and even some ambitious souls have dared to make their own Gantt charts in Excel (really?). 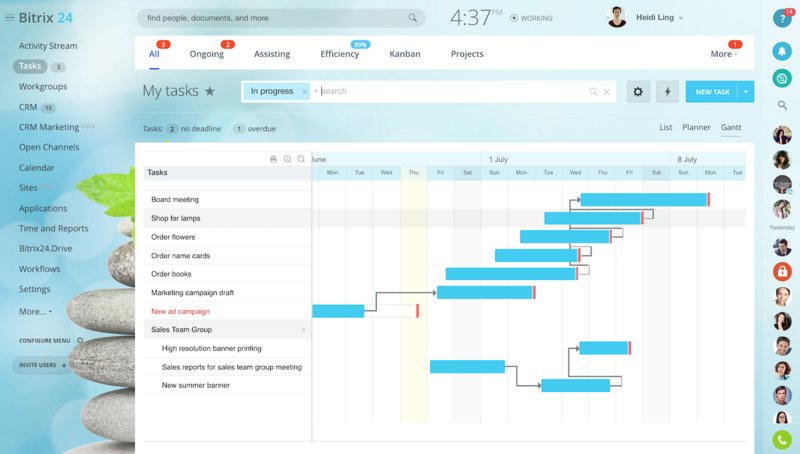 A lot of cutting-edge online project management software and task management tools like ClickUp have transformed the typical Gantt chart into a timeline view that lets you drag-and-drop tasks into certain spots while also providing more detail on timelines and responsibilities than the traditional Gantt chart would do. The best Gantt charts don’t stand alone. If you’re only looking for a Gantt chart, you’ll be sorely disappointed in the end result. It’s not enough to effectively manage projects. You need tasks, project hierarchy, commenting and more to run great projects. In this post, we’ll look at the top free Gantt chart software options plus one (ClickUp!) that is totally worth checking out. Redbooth is full-scale project management software system that also offers Gantt chart and timeline views. Tasks are ordered by the earliest start date and are color coded for easy recognition with the tasks divided by section. However, in the free version, it doesn’t have task dependencies and only gives you an overview of the due dates and priorities for your tasks. Repeating tasks are also not part of the Gantt chart/timeline view. Another issue is that you can’t see your tasks across projects. This isn’t only online Gantt chart software but provides lots of options for managing tasks. This is free Gantt chart software hosted locally (compared to cloud-based project management) that has a few simple tools to use for sketching out dependencies and timelines. It’s very basic in a wireframe-type design, but quick to install and create Gantt charts. This isn’t a full-fledged project management software but could be an add-on to your current project management. If you’re unfamiliar with Gantt charts and just want to see an example, then Gantt Project may be a good solution. Otherwise, it won’t have much utility beyond just a few basic uses. Teamweek has some stunning visual planning tools with a great brand persona to match. One of the keys is their free Gantt chart feature, which teams up to 5 can use for free. 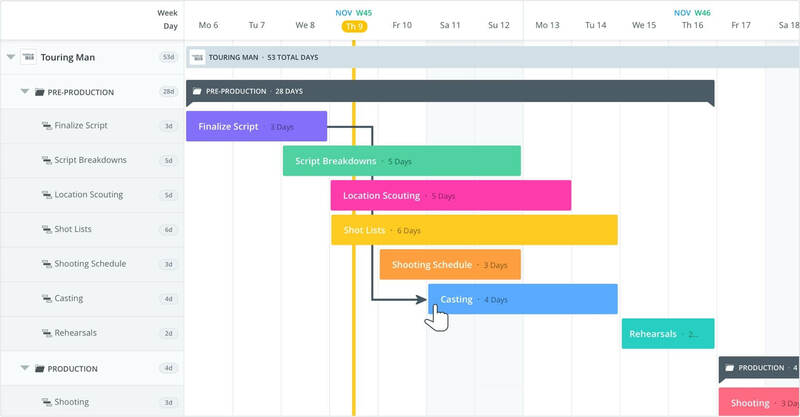 Their Gantt chart / timeline features are more of a calendar and project planner, showing you where tasks occur on the timeline and how they overlap. It’s unclear from their website if task dependencies are included, but it’s free to sign up. 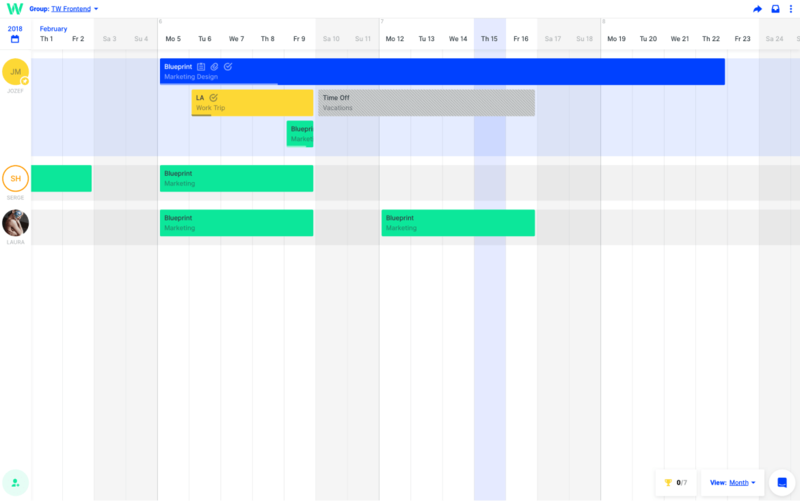 A nice benefit is that there is a public link for their Gantt charts, so you can share it with others even if they don’t have a Teamweek account. This one is a little tricky, so let me see if I can explain. Asana doesn’t have Gantt charts, and so Instagantt decided to build an integration. But it’s only free if you have an Asana account (which has a free tier). But the other confusing part is that Asana has a timeline view, which is similar but different than Instagantt offers. The selling point for why you would add Instagantt to your Asana account is because of dependencies but Asana’s timeline also offers dependencies…so we’re not sure? Other great Instagantt features include workload management, milestones and different colors to show progress on your Gantt chart. If you want another add-on for Asana, then Instagantt may be your answer for online, free Gantt chart software. Bitrix24 is a project management software plus communications platform that wants to put all of your business needs in one platform. That’s a tall order, but it has a Gantt chart, so let’s take a look? Bitrix24 looks pretty promising, with dependencies set with “Start to Start” meaning two tasks start at the same time; “Start to Finish” meaning when one tasks finishes, another begins; and “Finish to Finish” meaning that one task can’t be completed until the previous one is also completed. The Bitrix24 interface is designed with the Gantt chart front and center, with your tasks on the left and your other team members on the right side. Bitrix24 is free up to 12 users, has subtasks and has Gantt charts for multiple projects. I’m not sure if you can view the Gantt chart across multiple projects at the same time. Agantty is truly a free project management software that is based around a simple Gantt chart. You can create unlimited projects and tasks and chart them on your Gantt chart. 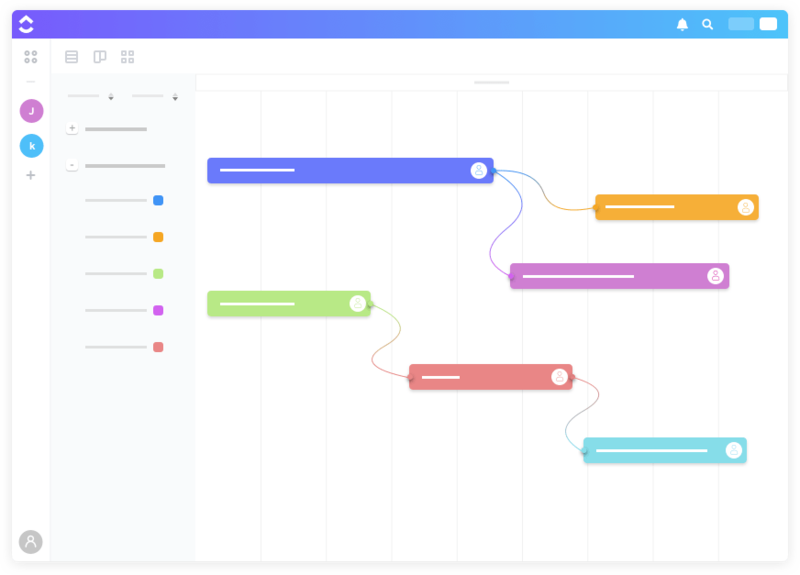 The Agantty mission is to make Gantt charts look beautiful and easy-to-use–and both of those are accomplished. They give the professional guys, like TeamGantt, a run for their money. Once you create tasks, they’re automatically added to your Gantt chart. Good value for those looking for a free Gantt chart-centric solution. 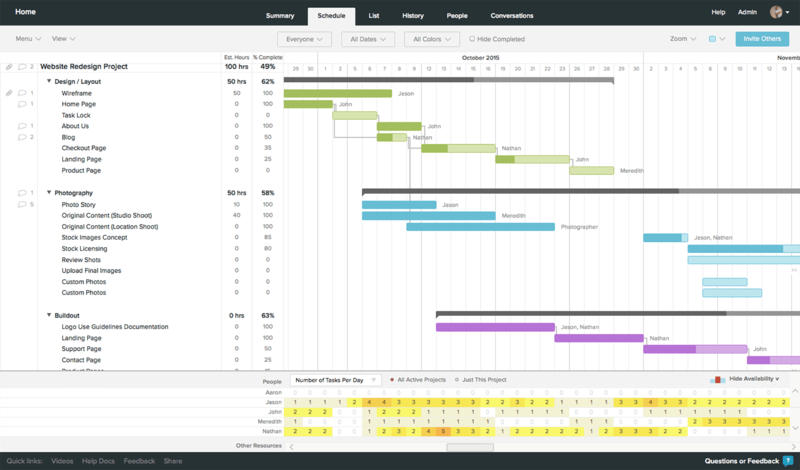 For those that super enthusiastic about Gantt charts, then take a look at TeamGantt. Its super-sharp design is complemented by a powerful commenting system that lets you add attachments and more alongside the tasks you highlight in the Gantt chart. 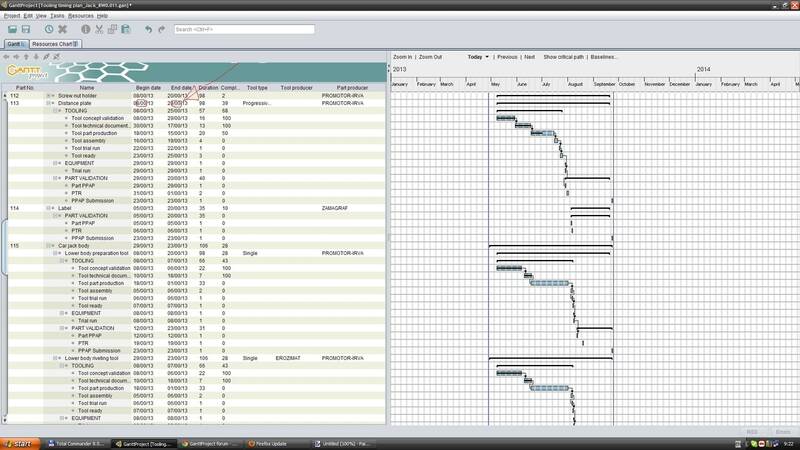 And it is simple to move tasks within the Gantt chart because of its drag-and-drop functionality. Setting a schedule is easy. TeamGantt offers to-do lists, calendar and weekly views but Gantt charts is the name of the game here. Their resource management and capacity planning view is also helpful. You’ll see how many tasks team members have before assigning a new task or project. Technically, TeamGantt does have a free plan for up to 3 users only one on project. After that, you’ll have to switch to the paid plan. I’m not sure who Tom is, but he (or she or they) have created a Gantt chart that you can use. The benefits of Tom’s Planner is much like the others–drag-and-drop and task dependencies. What makes them a little different is easy filtering and custom color coding, so your timelines appear the way you want them too. Tom’s Planner does have a free plan, but really it is for personal use. You can’t invite others to collaborate and you only get one project on the free plan. Also, the interface seems a little outdated with the grid and blocky interface. If you do decide to upgrade to a free plan, you’ll get to use their scheduling feature which shows updates, who’s responsible and the history of the tasks so you can monitor any changes. 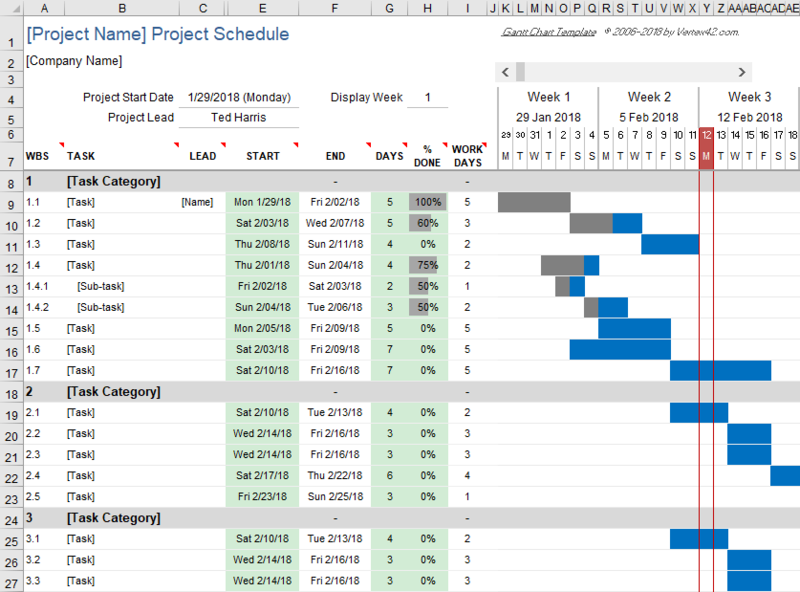 Much like Tom’s Planner and TeamGantt, StudioBinder also has a Gantt chart that you can use with one project before having to upgrade to a paid plan. StudioBinder is specifically set up for events and film production, making this is a wise choice if that’s the particular use case that you need. I like their setup: it’s color-coded. The task names are written across the bars so you can identify what it is. If you click on one of the bars in the Gantt chart, task details and files are immediately pulled up. The StudioBinder experience makes a lot of sense. Yep, another way to have a free Gantt chart is by completing one in Excel. This may make (some?) sense if you’re already using Excel on a regular basis, but we don’t need to reiterate all of the reasons why Excel doesn’t work for project management. Like in the example above, you can see deadlines and due dates but it’s impossible to collaborate with your team or get reminders on these dates. An Excel Gantt chart will limit your team collaboration. But if you must…here are some free Excel Gantt chart templates that you can start with. But remember, they’re almost impossible to share with teammates, to keep updated or to add task details. Gantt charts have been one of the top requested features from our users since ClickUp has begun…but we wanted to make sure we did it right. ClickUp does have a free forever plan, but you only get Gantt charts on a paid plan. To that end, ClickUp gives you several ways to view different tasks, projects and spaces on the Timeline view. Start and Due dates make sure you are working on the right tasks at the right time. Using the ClickUp Calendar, you can also visually see which tasks are to be worked on when. I also recommend checking out our Week view to get a better look at the tasks to work on. Task Dependencies make it clear which task needs to be finished first, and which ones are blocking others from starting. Task dependencies also send notifications when a task is unblocked, so your team knows when a task is ready to be worked on. You can even do milestones in ClickUp. Create a List of all tasks required to complete your milestone, and archiving the List once you complete your goal. Lists are great because they give you the ability to set a Due Date on the List and List Details. Check out this doc to learn more! Time Tracking within ClickUp gives you lots of options. Choose to use ClickUp’s own native time tracking, or integrate with Harvest, Toggl or Everhour. Connect with your team the way you need to. Assign tasks with multiple assignees. The ClickUp Gantt chart will show you who is assigned to what in a quick glance view. This is very valuable for working with clients. For instance, if you tag all of your tasks with a client, like ACME BOX COMPANY, you can see how all that client’s tasks link up in the timeline view. Tag by the type of task, such as “Sales Training” and see how all of the sales training tasks line up. That way, you don’t necessarily have to create a to-do list for your related tasks or you can if you want :). That’s the flexibility of ClickUp. In addition to Gantt charts, ClickUp has received rave reviews for its easy user-friendly interface and its feature releases. With many free features that other companies charge for, ClickUp has rocketed to the top of the lists for best project management software. If you’re using another tool, it’s easy to import and start today! Okay, now we know about Gantt charts, free Gantt chart software and how Gantt charts function with your specific tasks. They are helpful because they show dependencies and where work may overlap, helping your team prioritize tasks and work. But, the Gantt chart is an old form. It may no longer be the online Gantt chart software or tool for you, especially as more advances have been made in calendar and timeline views. Take a look at the options here, and email us at help@clickup.com if you have any questions.